n busy NYC – let us take care of running that last minute flower run. A great gift for you, a client, a friend, or a lover. 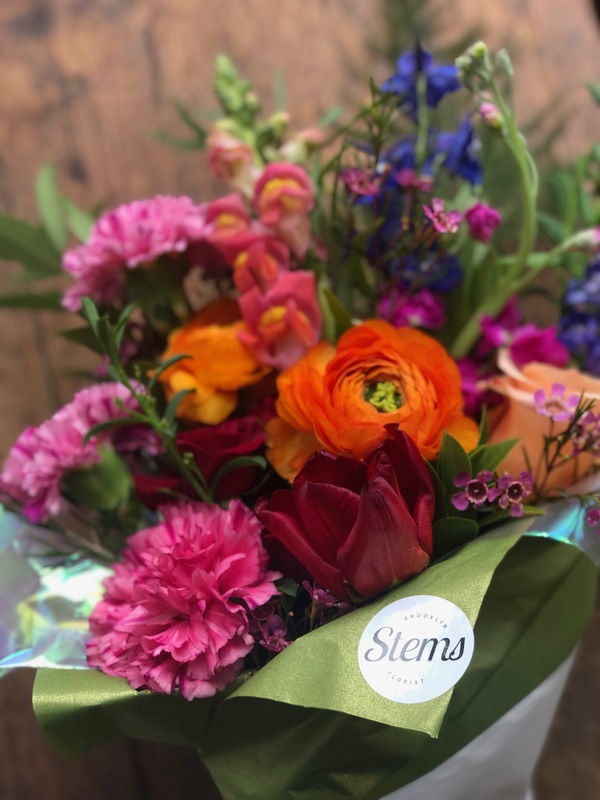 We love working with a range of bright colors and blooms and with these subscriptions options – we hold true to that! We work with what’s in house each day to create a unique bouquet each time. 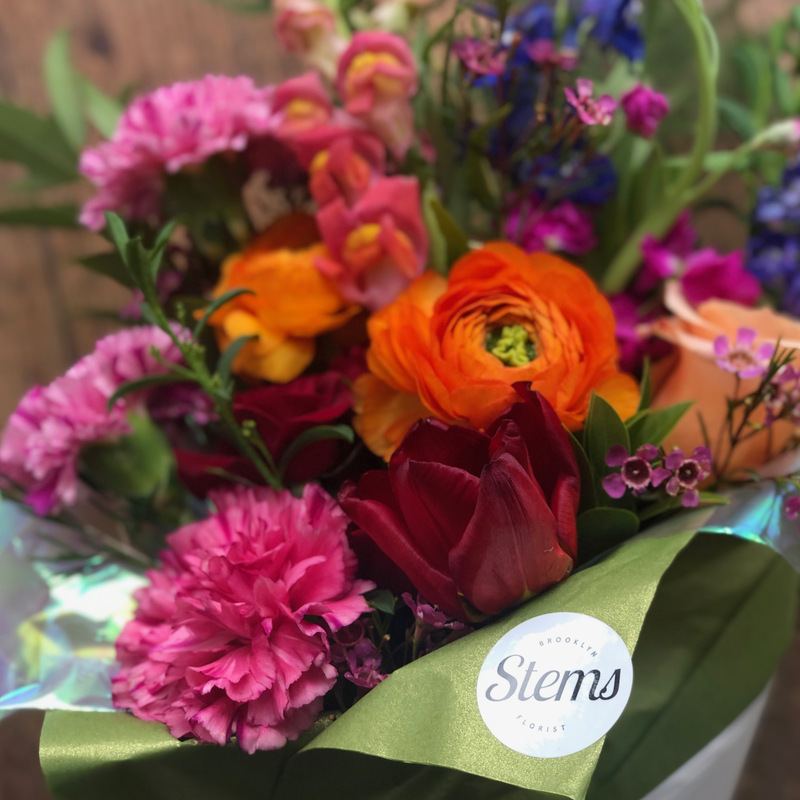 Listed here are the blooms and greens you’re likely to see this season in our bouquets – roses, spray roses, ranunculus, larkspur, carnation, veronica, eucalyptus, delphinium, scabiosa, anthurium, thistle, eriostemon, and much much more. 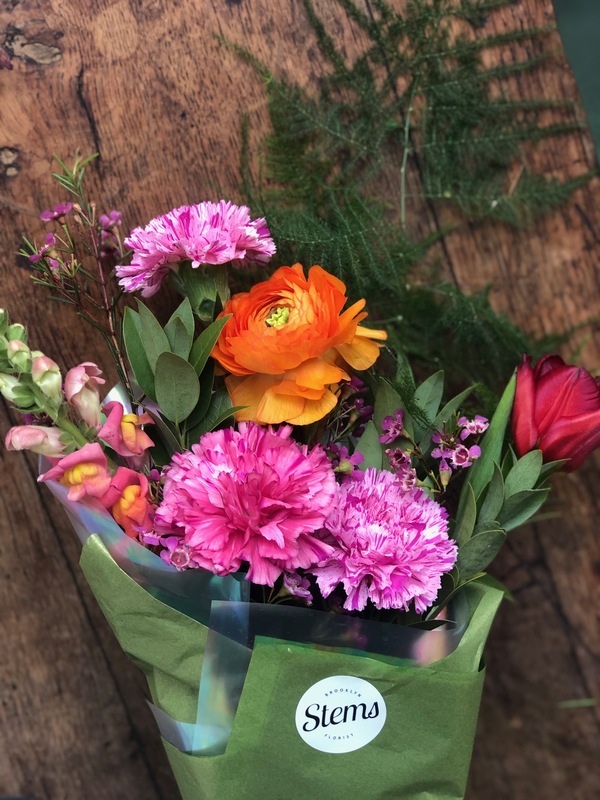 Our focus is to create unique bright color bouquets that will last you through-out the week! We have 3 package option for our bouquet subscriptions and 2 bouquet size options. Delivery is baked into the cost, so what you pay is all seen upfront. Fill out the form below and we will be in touch shortly to finalize the order with you.